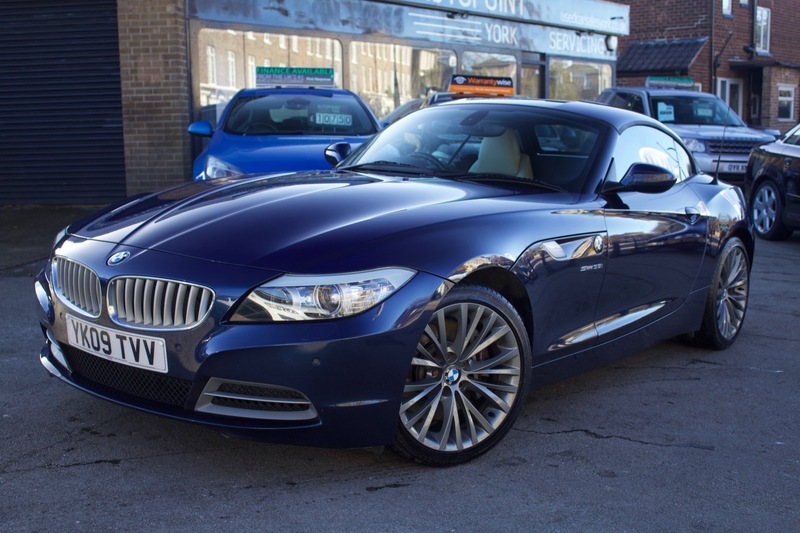 Here we have our rare Manual BMW Z4 SDrive 35i finished in White Leather and Immaculate Blue. The car has only covered 28,000 miles and has 7 Stamps. The most desirable Z4, rare manual, straight six twin turbo and a soundtrack to match. This really is your chance to own a prestige BMW, you'll continue to have fun in time and time again. The Z4 comes with ABS, Air Conditioning, Keyless Entry and Keyless Start, Upgraded Alloy Wheels, CD Player, Central Locking, Climate Control, Electric Windows, Cup Holders, Daytime Running Lights, Electric Mirrors, Angel Eye Headlights, Parking Sensors, Electric Mirrors, White Leather Electric Memory Seats, Rain Sensor, Auto Headlights, BMW Professional Sound System, Xenon Headlights and Steering Wheel Controls. The car also comes with MOT, 12 months Service, Warranty, Free AA Cover for a year and Pre Delivery Inspection Report.